There’s no question that humans love animals. Half the internet seems to be devoted to animal pictures (the other half is arguing with your relatives about politics on Facebook). They say that when you love someone, the two of you start to resemble one another. That’s definitely the case with these animals. Some of them look just like their owners. Others, meanwhile, seem to enjoy human activities, like lounging on the couch and having a girls’ spa day. We may be different from our pets, but in certain ways, we’re all the same. Believe it or not, there is actually a science to back up why pets resemble their owners. 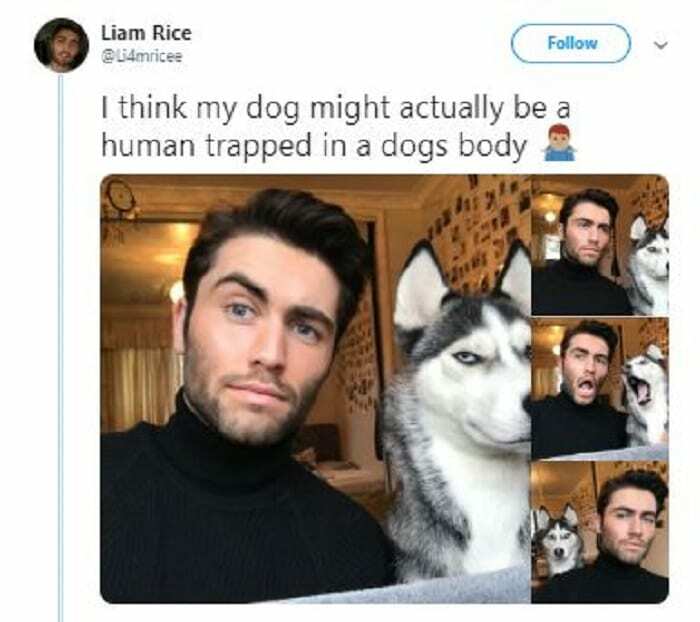 Humans have a natural tendency to choose a dog that looks like them. It’s a subconscious effort to bond with the pup, just like we do with our biological human children (who also look like us). 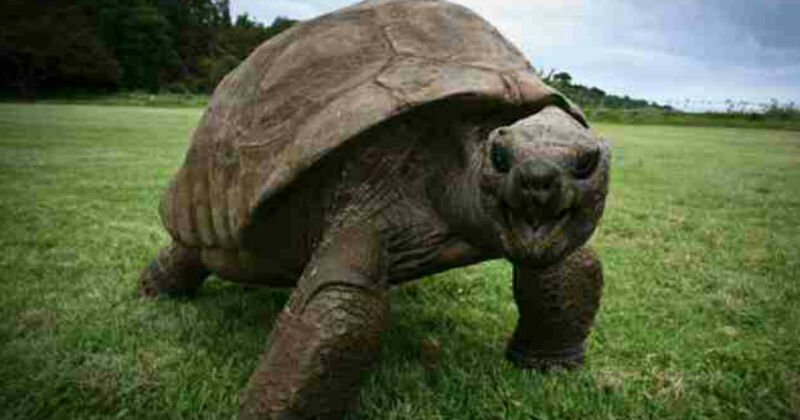 Yes, it’s weird, but just chalk it up to evolution gone wonky. 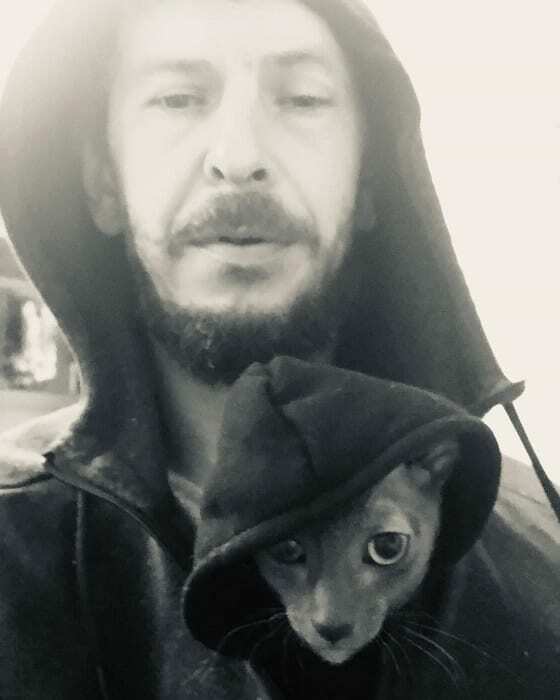 We love and want to connect with our pets, and that’s why we want them to be our miniatures. 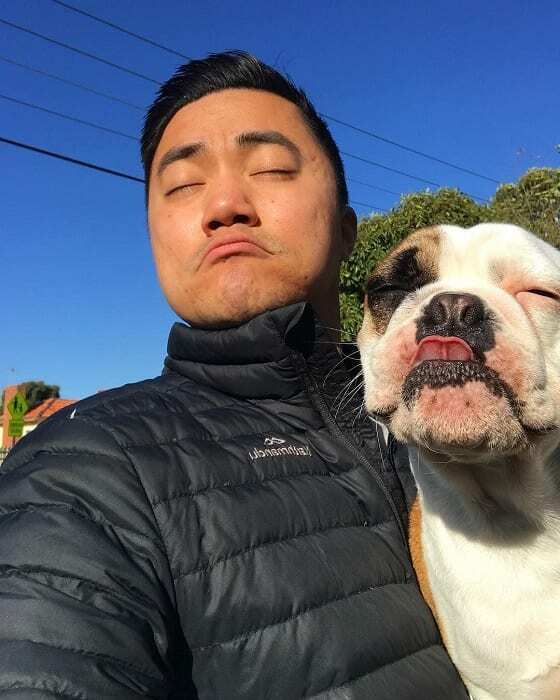 If you have a beloved pet at home, you may want to take a selfie together to see if you two look alike. 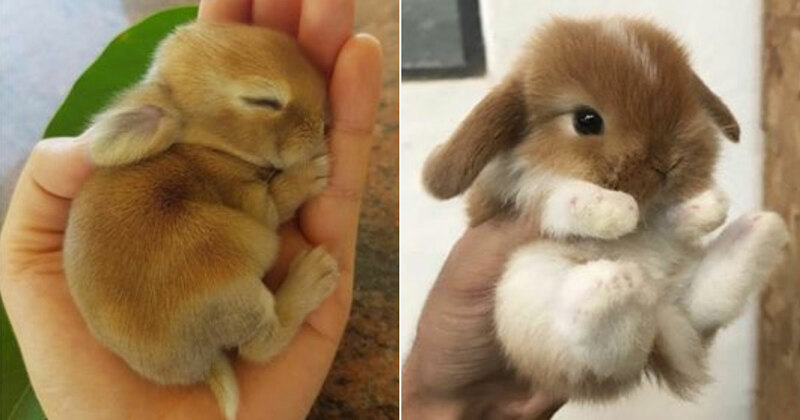 At the very least, you’ll have an adorable picture to share online! 1. Why yes, we’re both suave and debonair. 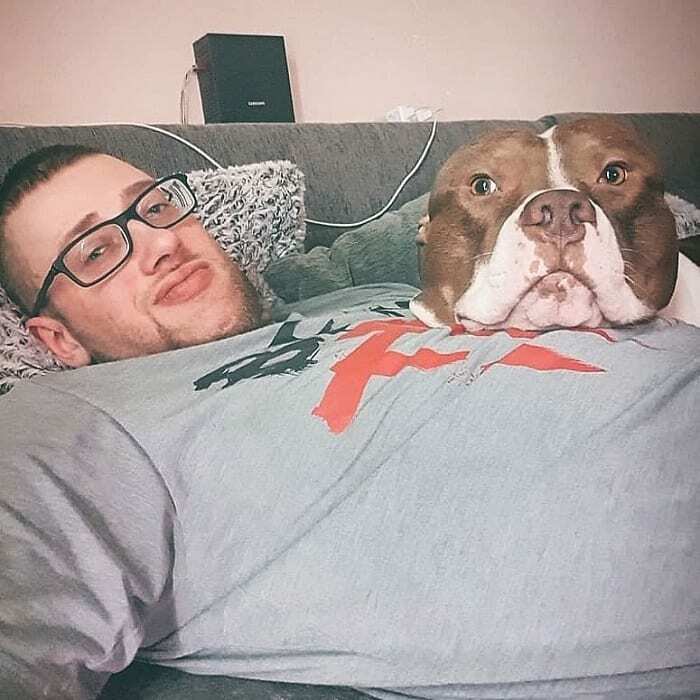 This is a very handsome man and his very handsome dog. They both have black hair and piercing blue eyes. But they’ve also have their synchronized poses down, and that makes them look even more similar. 2. Now, this is what I call solidarity. 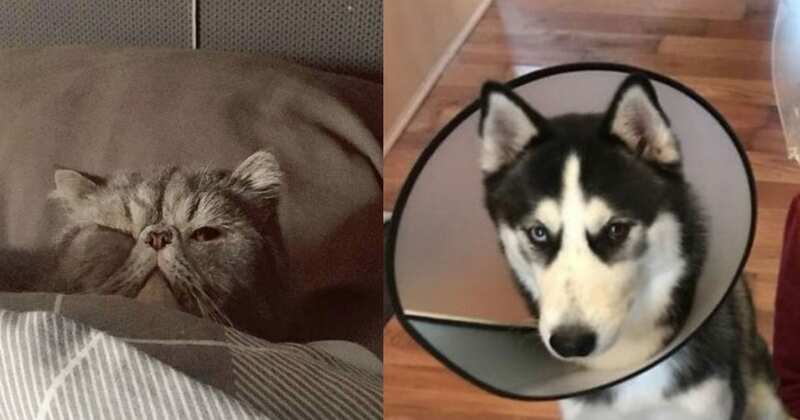 This owner loves his pooch so much, he’s not letting him endure the cone of shame alone. Or, who knows, maybe he had surgery at the same time? We can’t have either of them trying to lick their stitches. 3. Someone must have told a hilarious joke. We all have that one friend who gets us to laugh and then we can’t stop. These two look like they have a case of the giggles. We’ve never heard a cat giggle but we’re betting it’s adorable. 4. Will you bring the cucumbers for the masks, or should I? 5. The most photogenic pair on the internet. 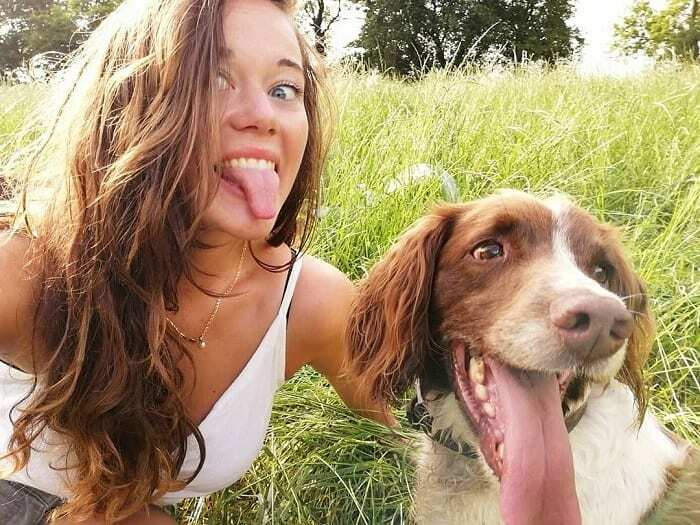 This girl and her pup could be Instagram models. They both have striking looks and know exactly how to work the camera. Puppy is only missing the killer makeup look his owner is wearing. 6. This is surprisingly well-coordinated. Just to make sure that you don’t miss it, this owner and his pooch have struck a pose so you can really see how they match. Not only are they two peas in a pod, but they’re also thinking in unison. 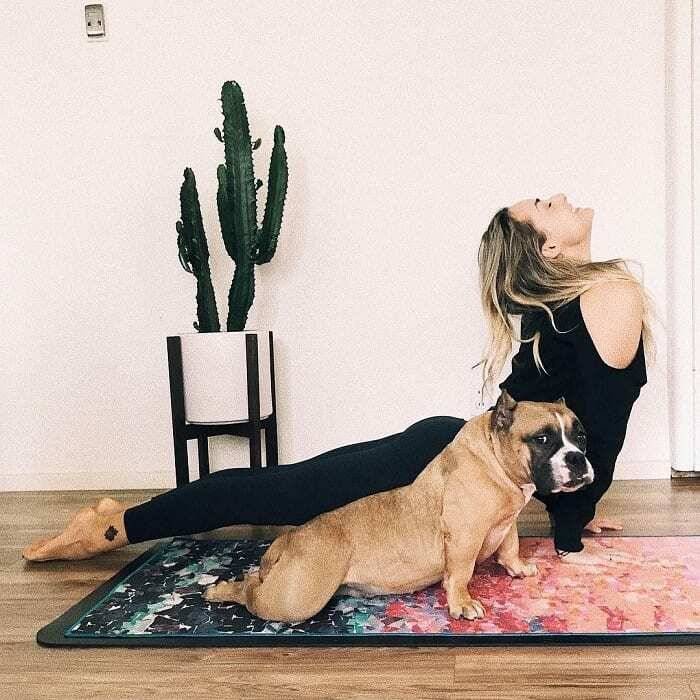 It’s everything you need from your canine companion. 7. 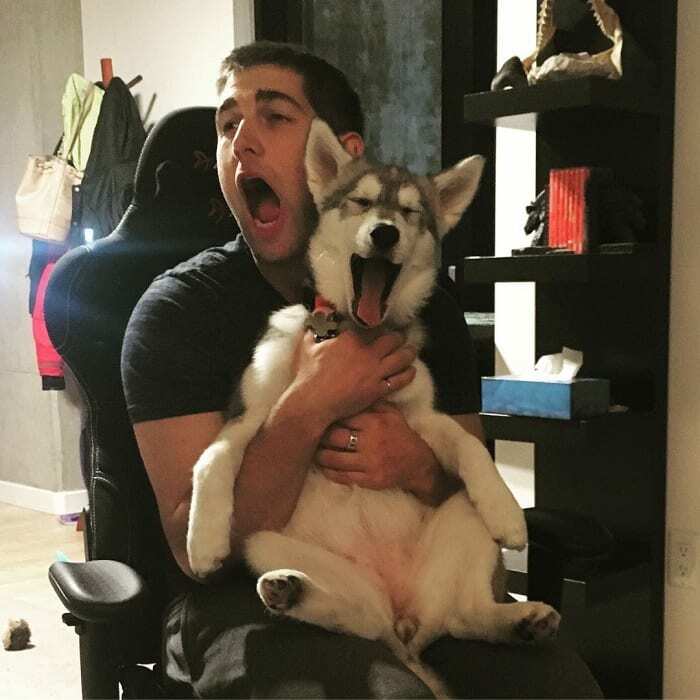 Like pup, like owner. These two best buds are showing off their impressively long tongues. 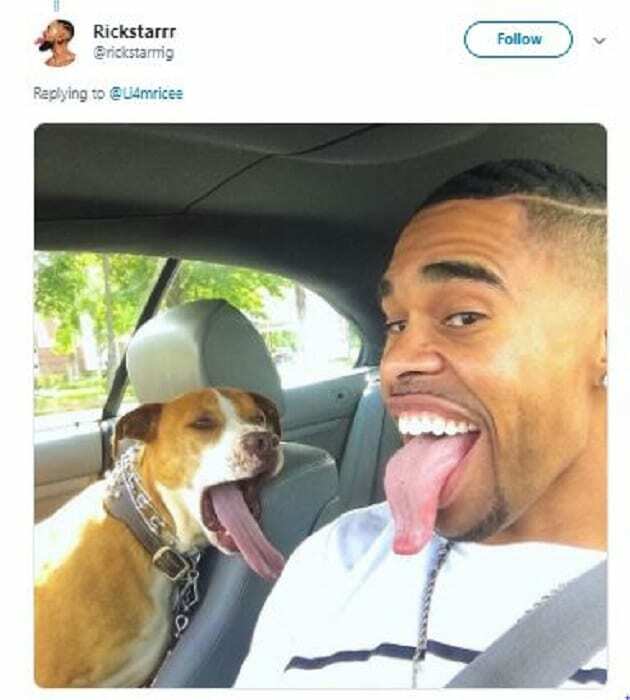 Seriously, both of them should win prizes for their tongues. We’re not sure where that would happen or what kind of competition, they’d have to enter to get those. Can somebody organize this, please? 8. Flash those chompers in 3, 2, 1! Have you ever seen a kitty smile? 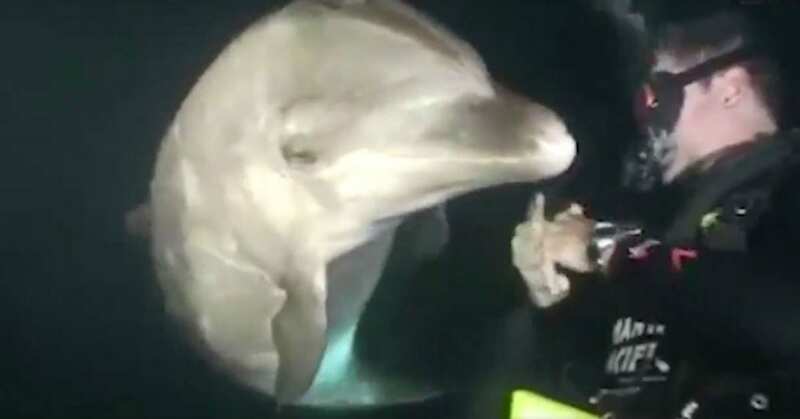 It turns out that it’s just a little bit terrifying. 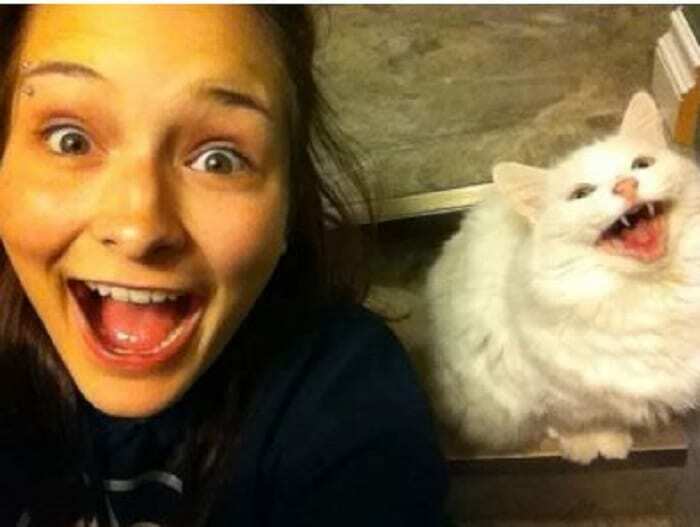 Actually, on second thought, we’re not entirely sure that cat is smiling. 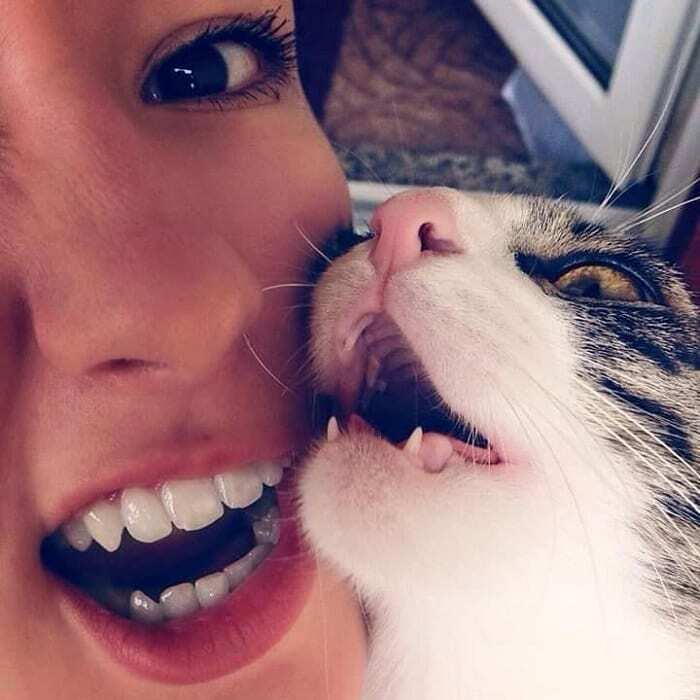 It may be trying to bite her face. 9. This is too precious for words. 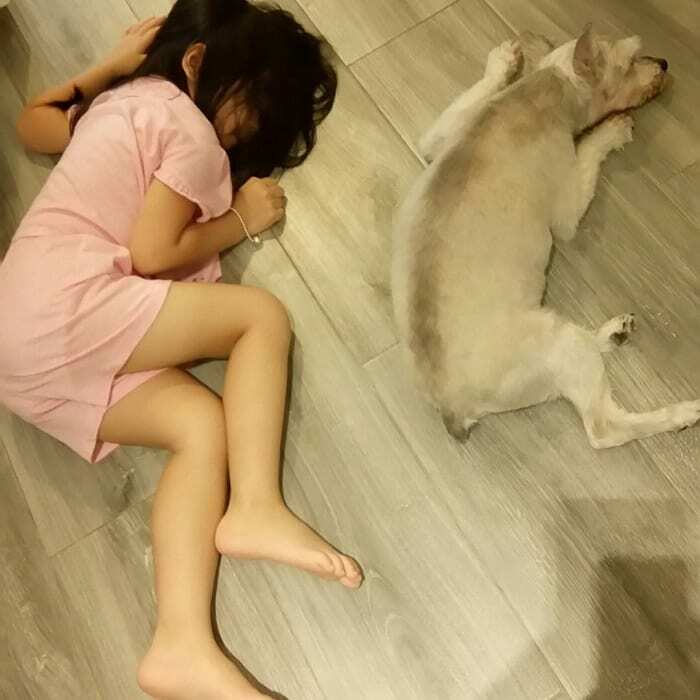 There’s nothing like the pure love between kids and their pets. This little guy feels completely safe curling up with his big furry friend and going to sleep. 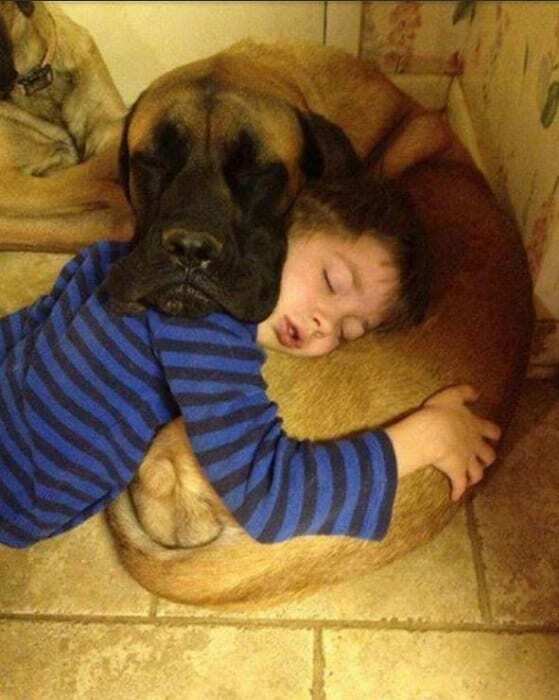 One thing is for sure: he’s got the most comfortable pillow in the world. 10. Me? I’m just over here thinking people things. 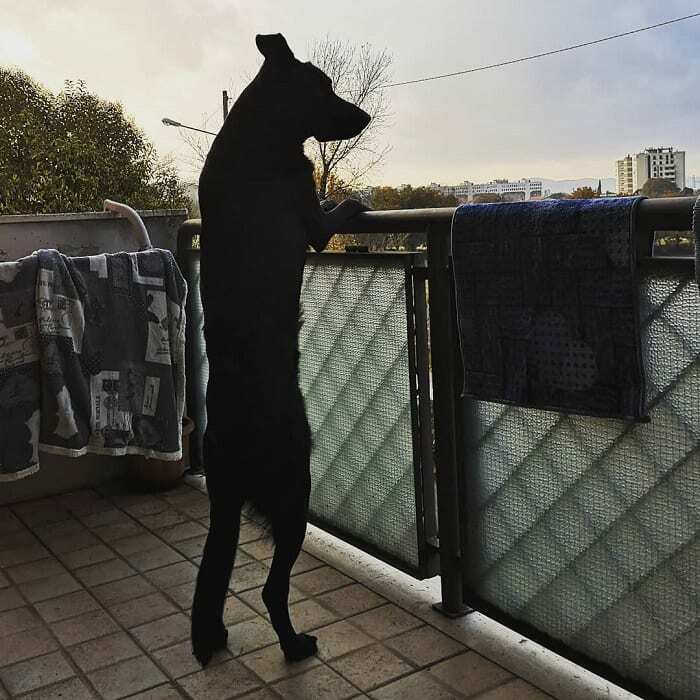 Imagine walking by on the street and seeing this dog standing on the patio. He’s gazing out at the sunset and thinking deep, important thoughts about life. 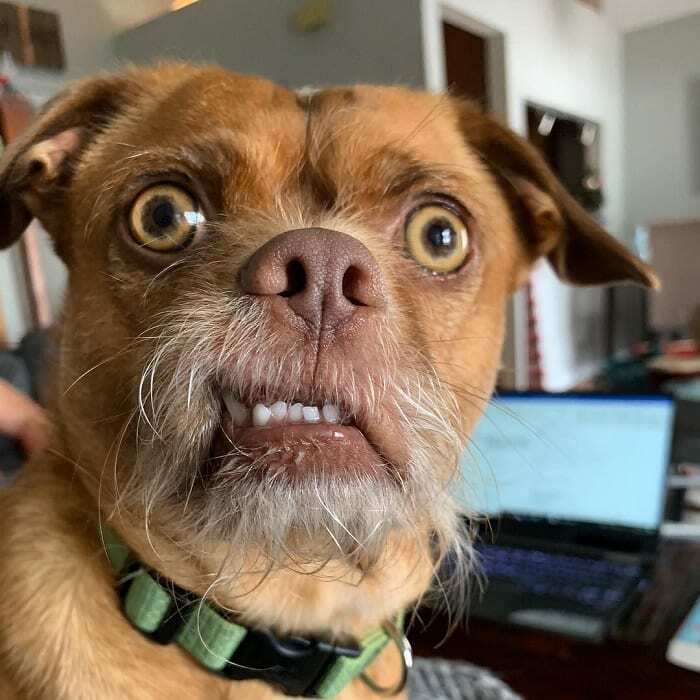 Or maybe he just saw a squirrel. 11. The human makes it look so comfy. With their intense flexibility, cats can get into all sorts of positions that we humans could never dream of. 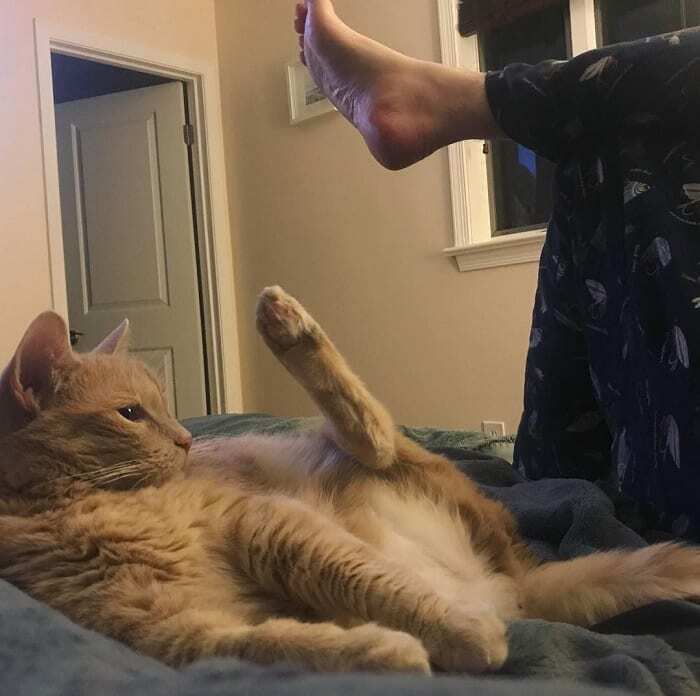 But this feline prefers to sit like a human. All he ever really wanted was to fit in. 12. A family that travels together, stays together. 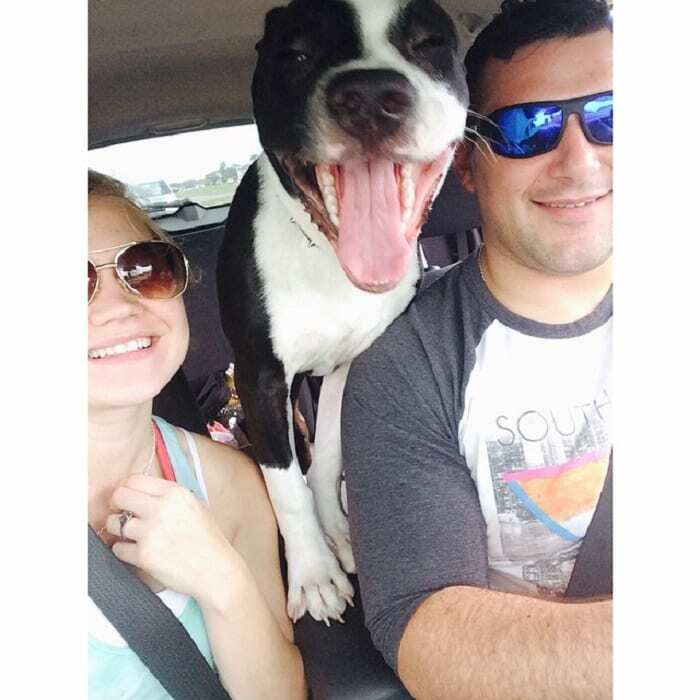 This excited pooch is thrilled to be hitting the road with his mom and dad. So, it’s time for a pre-road trip selfie with the whole family. We’ll take one in a couple of hours after we’ve stopped to go to the bathroom five times. 13. Get your kids started early. Kids love animals and they start to bond with them early. Just look at this sweet little girl and her furry friend. She’s already looking up to him as a companion and a teacher. Hopefully, he won’t teach her to drink out of the toilet. 14. We howl together because we love each other. An owner who really loves you won’t just let you bark at squirrels, they’ll bark WITH you at squirrels. They appreciate the fact that chasing small animals is your one true passion, and they’ll support your dream. They’ll even take a howling picture with you. 15. Just a couple of beach bums. 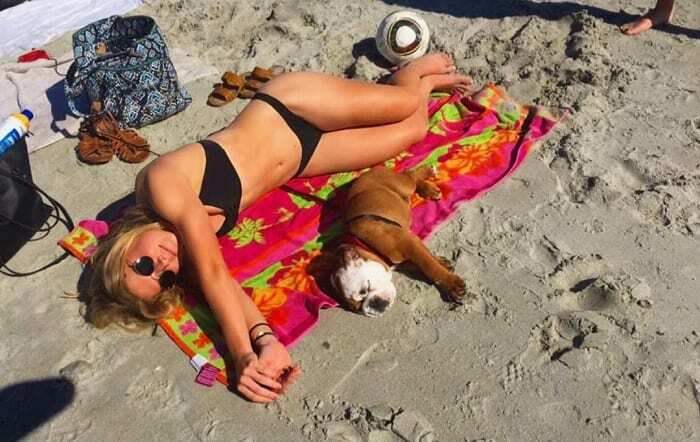 There’s nothing like a beautiful day on the beach with your owner. The two of you can chase seagulls, walk in the waves, and take a long nap in the sun. It’s a shame you forgot to bring your favorite black bikini. 16. It’s called fashion, look it up. Some pet owners like to buy their animals tiny clothes. If they REALLY love them, they’ll buy themselves matching outfits. Then they’ll take selfies in the mirror with both of them looking fly as all get out. 17. No, we’re not related. Why do you ask? These two buddies don’t just live together, they work together. And spending all that time side-by-side has got them looking pretty similar. The only thing that’s missing from the owner is that long bit of drool hanging from his dog’s mouth. Thank goodness. 18. You’re welcome to join me. 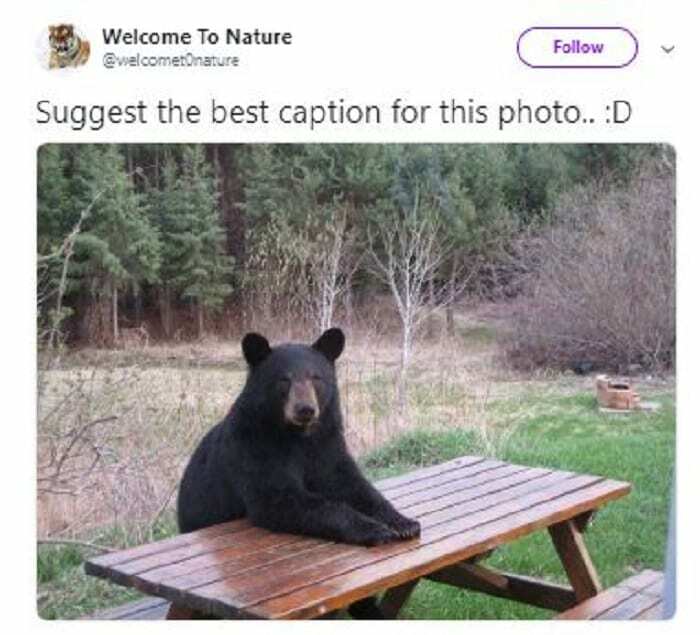 This bear looks so friendly sitting at the picnic table like he’s waiting for his lunch. He’d love to have one of those hamburgers that you’re grilling. Wait, why are you running away? 19. 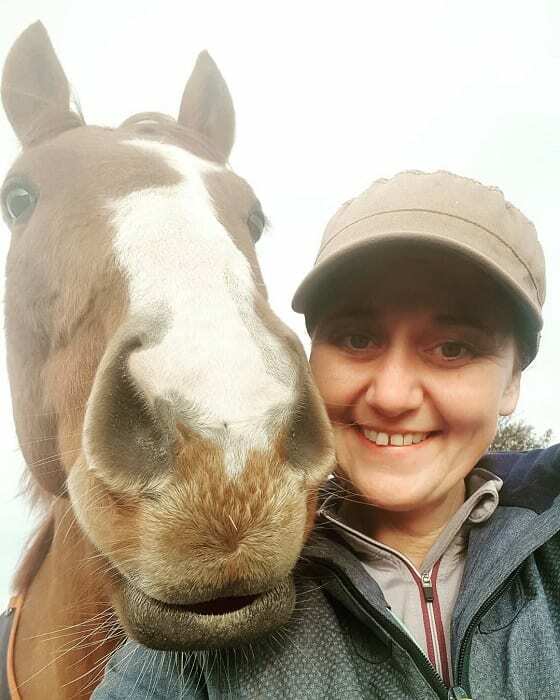 This horse doesn’t have a long face. Clearly, this horse isn’t walking into a bar, because he’s got a happy smile on his face. And why not? From fresh air to lots of grass to running with your best friend, being a horse is great. 20. We all have to start somewhere. The first time doing yoga, we all feel awkward and inflexible, and we’ll all be a little sore for a couple of days afterward. This guy is jumping straight in. He might not know what he’s doing, but he’ll get there one day. 21. They’re best friends and they don’t care who knows it. 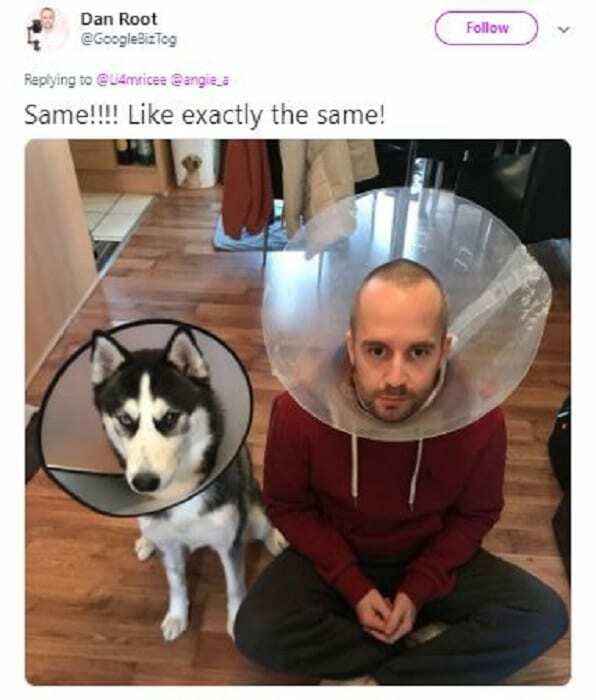 These two are a prime example of when pets and their owners resemble one another. 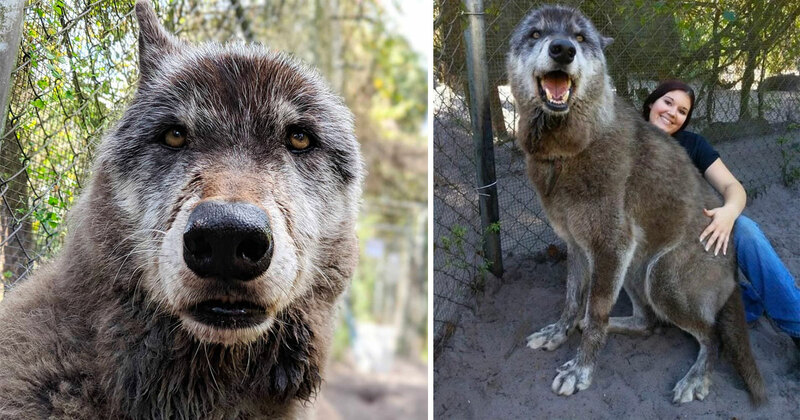 From their big smiles to their long flowing fur (sorry, we mean hair), they’re almost identical. And that’s just the way they like it. 22. 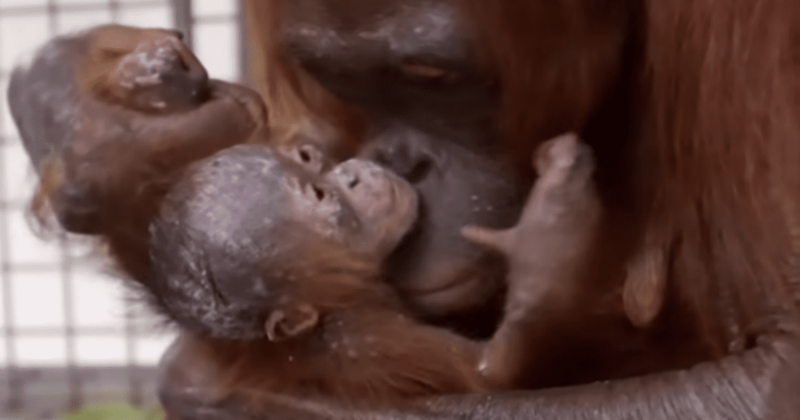 Animals are closer to people than you think. 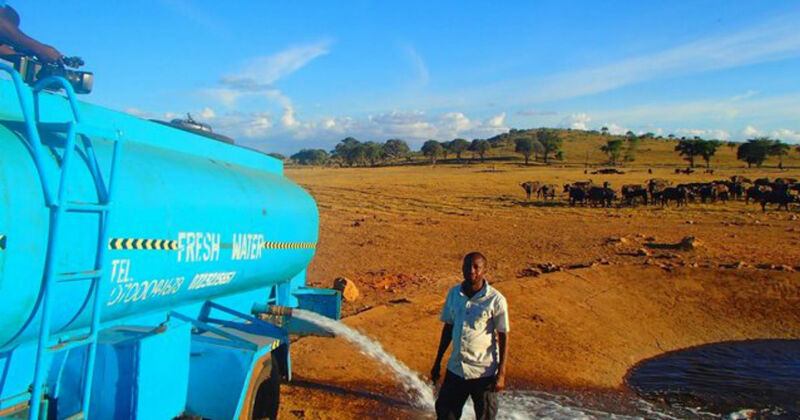 When this guy decided to act like a human, he knew exactly what to do. To look like a person, just hop up on the couch and kick back, preferably with some snacks at hand. 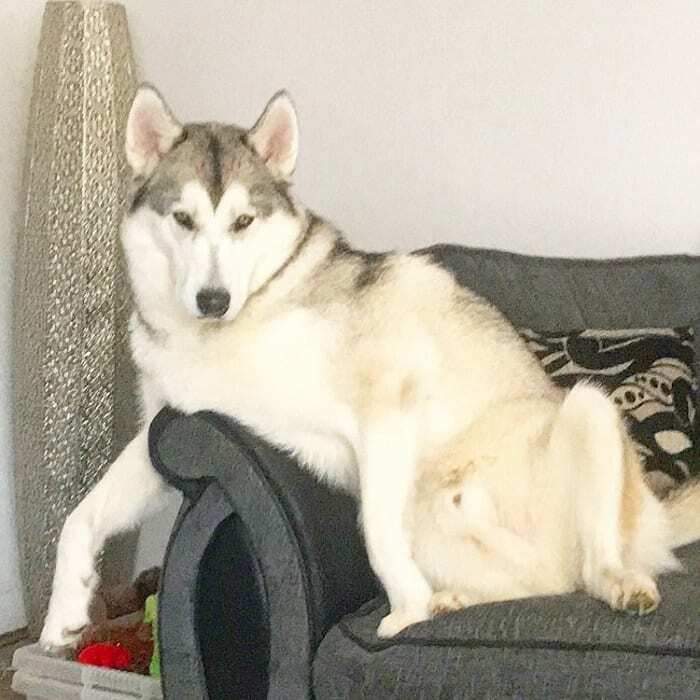 Now turn on Netflix, human, and let’s binge on “The Office..
23. I can’t get up, the bed won’t let me go! There are days when your bed is just too delicious for you to leave it. 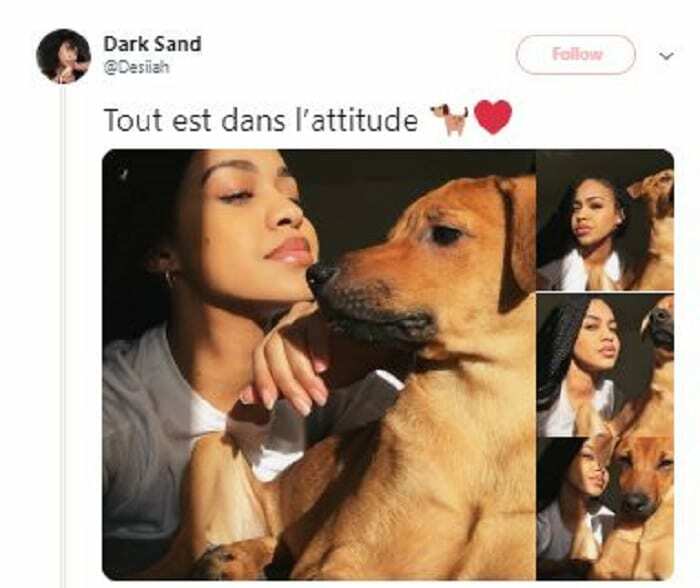 This dog totally gets it. 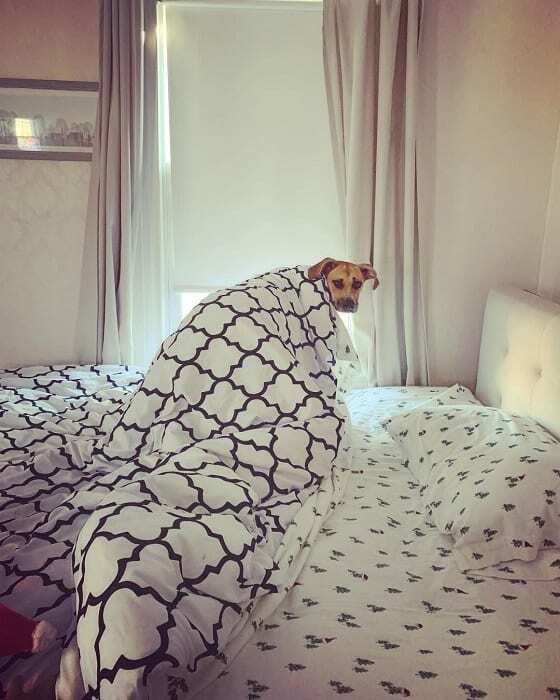 He might be looking out the window at the world, but he can’t let that fluffy comforter go. 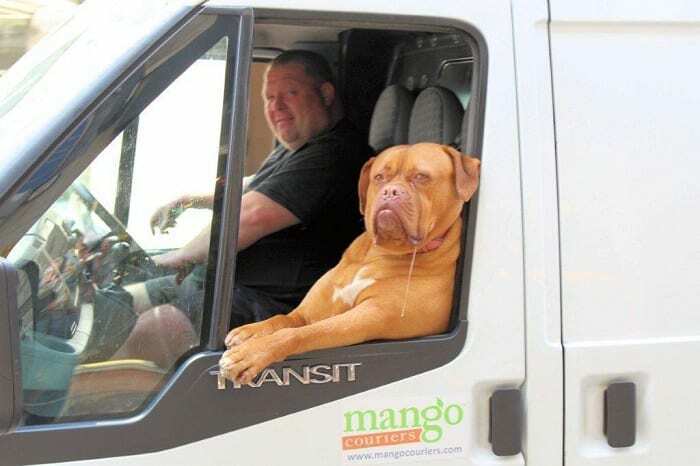 This poor dog has the look of someone who just realized he has to start work again tomorrow. There’s nothing worse than realizing the weekend is over and you’ll be at the office tomorrow morning. Set your alarm, pup. You’re due at 9 a.m. sharp. 25. There’s nothing like a little bro time. Cuddle time is a very important part of your relationship with your pet. In fact, science shows that there are actually health benefits involved for both of you. There, now you have a good reason to kick back on the couch with your furry friend. It’s for your health! 26. Who dares to wake me? Let’s be real, we’ve all made this face at someone when they woke us up from a nap. 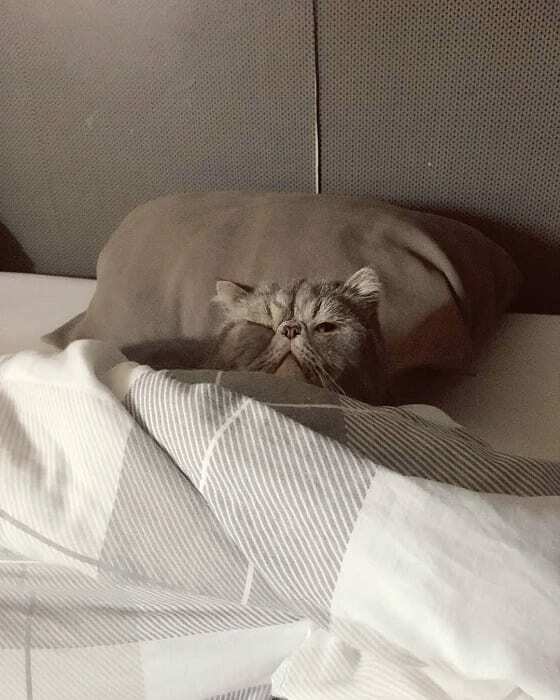 This kitty is enjoying a long snooze all tucked up with a pillow and a blanket. He just needs to close his eyes for eight or nine … hours. 27. I’m working my way toward total nirvana. This dog is a little more advanced, with his inner chakras balanced and his energies in harmony. 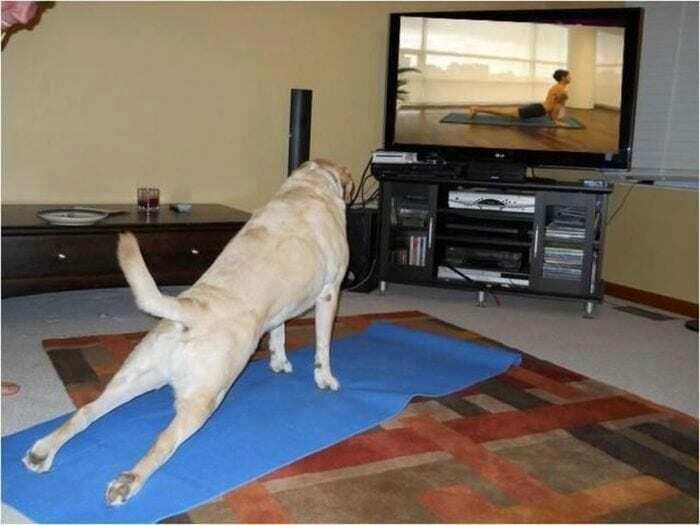 He has his own little yoga mat and is taking advice from the professionals. Also, he’s completely adorable. 28. Grandma’s got your back. No one ever gets up in arms faster than a grandma out to protect her grandbabies. Or a grandma who’s trying to feed her grandbabies. 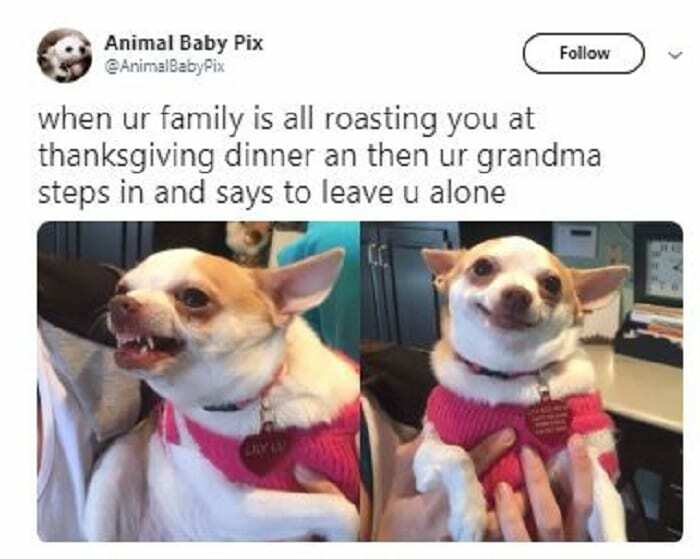 If you’re getting ragged on by the rest of your family, expect her to yell at them and then feed you. 29. People claim this guy looks like a certain Russian president. 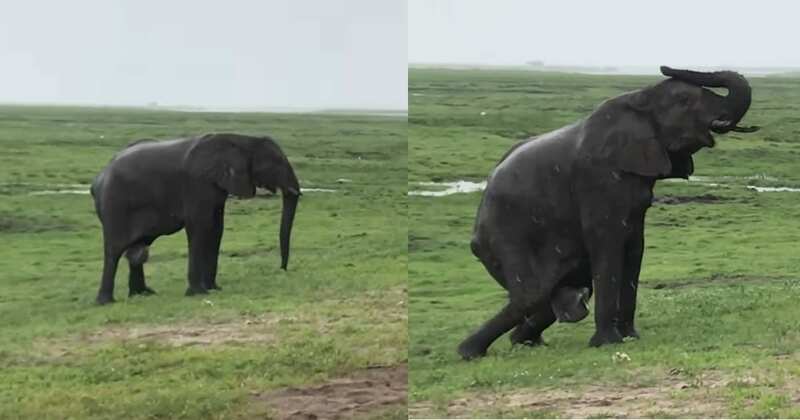 They say that once you see it, you can’t unsee it, and we’re sorry about that. 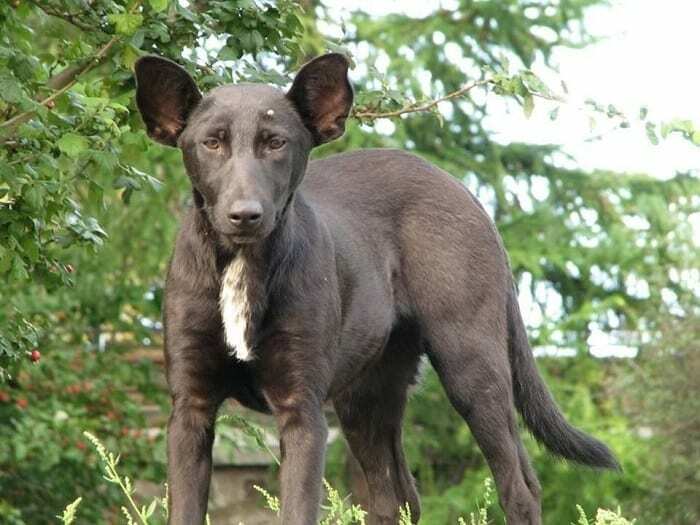 This dog might be cute, but he bears a striking resemblance to Vladimir Putin. The only difference is that he’s not riding on a bear. 30. And this one looks like a certain American president. 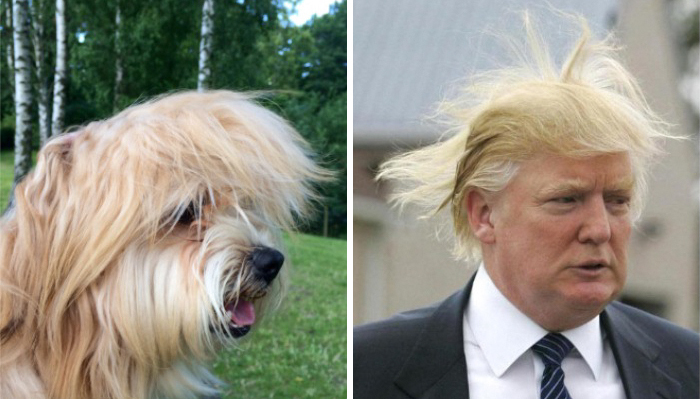 With his long, luxurious, golden hair, this pup does bear a strong resemblance to Donald Trump. We wonder if he’ll let us give it a tug to see if it’s real. Quick, let’s give Jimmy Fallon a call.